Antonio Conte has talked up the importance of Chelsea FC returning to winning ways by beating West Ham United at Stamford Bridge on Sunday afternoon. The Blues suffered a disappointing defeat by Tottenham Hotspur at Stamford Bridge last weekend in a result which dealt a big blow to Chelsea FC’s hopes of finishing in the top four this season. The west London side have had the last week to reflect on that result as they look to try and get their campaign back on track by beating the Hammers at Stamford Bridge this weekend. The Blues are facing an uphill struggle to try and get back into the Champions League spots this season as Conte looks to lead his team to a positive end to the season. However, the Chelsea FC boss has issued a rallying cry to his team as they bid to try and get back to winning ways against the east London side this weekend. 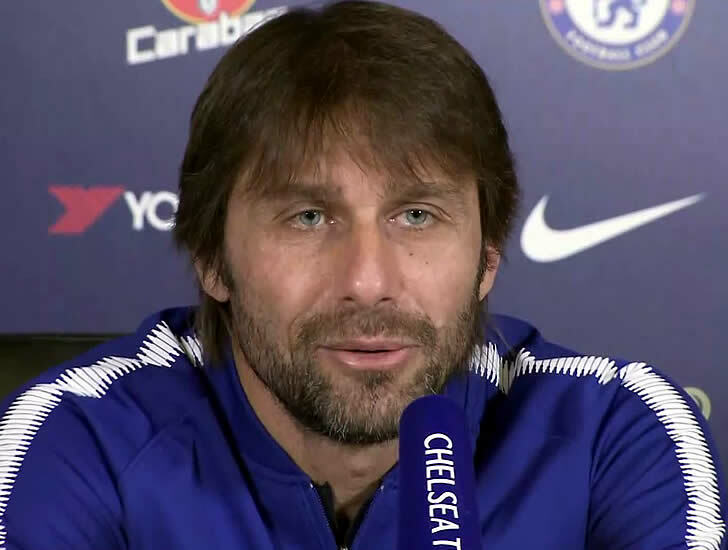 Speaking during his news conference at Cobham on Friday afternoon, Conte said: “West Ham have been playing some good football recently and have had some good results. “They are trying to get away from the relegation zone and will want to win, but we also want the three points. Chelsea FC still have the chance to end the season with a trophy, with the Blues set to take on Southampton in the FA Cup semi-finals later this month.